Electrical Discharge Machining (EDM) | Temco Tool Inc.
Temco features three kinds of Electrical Discharge Machining and each area is climate controlled with filtration systems for machining hazardous material. 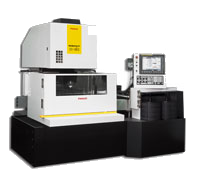 Temco's skilled EDM specialists use state-of-the-art CNC Precision independent 4 Axis Wire EDM machines with interchangeable tooling. 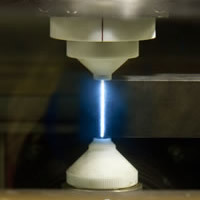 Wire EDM is capable of producing very close tolerances in finished parts. Tapered holes to exact size, high precision dies, and complex 4 axis shapes, parts and molds can be achieved. Tiny, difficult shapes and configurations can be cut with extreme precision. Temco's skilled machinists can drill holes in a variety of conductive materials quickly and accurately.